After speaking with candidate Jeb Bush and celebrity George Clooney on his "Late Show" debut, Stephen Colbert moved on to a new kind of guest: Silicon Valley entrepreneur Elon Musk. Musk, CEO of both the electric car company Tesla Motors and space exploration company SpaceX, is a tech world icon, and Colbert seemed genuinely thrilled to have him at Wednesday's taping of "Late Show" episode #2. During a commercial break after their televised conversation, Colbert told his studio audience that he was "truly moved" by Musk's vision for the future. 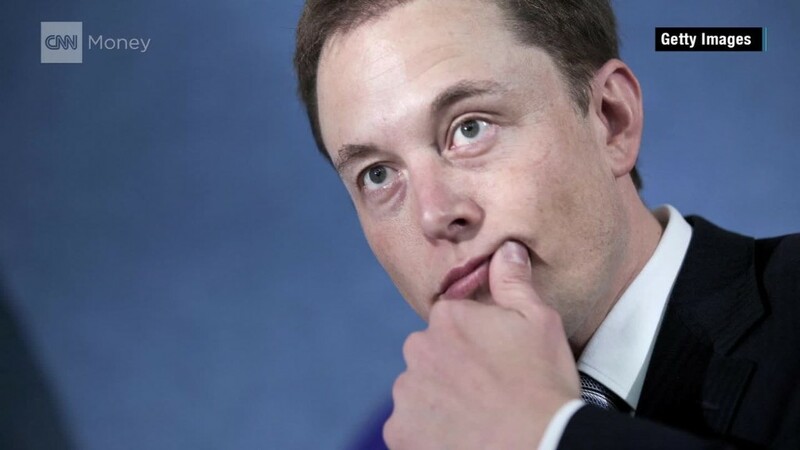 Then he commented, perhaps just in jest, that Musk should "run for president." Hearing that, one of Colbert's fans in the audience yelled back, "and you should be V.P." Colbert shook his head and smiled. Kevin O'Connor, 26, who was in the audience on Wednesday, said Colbert's interview with Musk was smooth and seemingly took just one take. "They seem like they had good chemistry," O'Connor said. Colbert is a well-known space geek. During the taping, he joked that Musk -- who was wearing a tuxedo jacket — was the "real Tony Stark" (the alter ego of Iron Man). The host spoke with Musk about a futuristic mission to send people to Mars. Musk commented that he could see people like Colbert himself boarding rockets in as little as 2 or 3 years. A presidential bid by Musk is harder to see, since he was born in South Africa. He became an American citizen in 2002. Colbert's other guest at Wednesday's taping was Scarlett Johansson, who has a Tony Stark connection herself, as a star of the popular "Avengers" films. Colbert also had the first official musical guest of his "Late Show" tenure: a performance by the rapper Kendrick Lamar. Lamar sang a medley of songs from his breakout album, "To Pimp a Butterfly." As for the "Late Show" itself, maybe it was lucky to make it to a second episode considering that, according to Colbert, the first one almost didn't make it onto CBS in time. During his opening monologue Wednesday night, Colbert explained that the lengthy taping of the premiere caused the show's computer editing systems to crash. Colbert said that as late as 11:20 p.m. on Tuesday night no one could tell him if the show would, in fact, air at 11:35. Colbert finished the story by thanking his tech team for saving the day and saying that during the predicament he thought to himself that if the show aired, "it will be a pretty good story." About 6.6 million viewers flocked to CBS for Tuesday's premiere airing, which went off without a hitch.